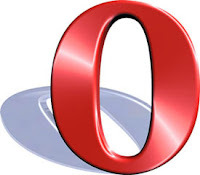 Guys, I have got a lot of requests from our valuable users to post a hacked version of Opera Mini for Airtel optimized for Low end devices like Nokia 2626. So, I was in it for 2 days. So Here is the Opera Mini 4.2 for Airtel. I'm posting 4.2 instead of 4.4 because some users reported that 4.4 had some bugs and is not supporting in some phones. This version uses server4.operamini.com server which has 3G support. You can also get high speed browsing. It also have downloading support. There was some problems in downloading .zip, .exe etc. files with Opera Mini 6.5 and UC 8.3. but fortunately this one has no such problems, you can download unlimited!. To get 3G speed, your phone must be compatible with 3G and you must be in an area of 3G coverage. Here is the instructions you must follow to get free GPRS in Airtel.